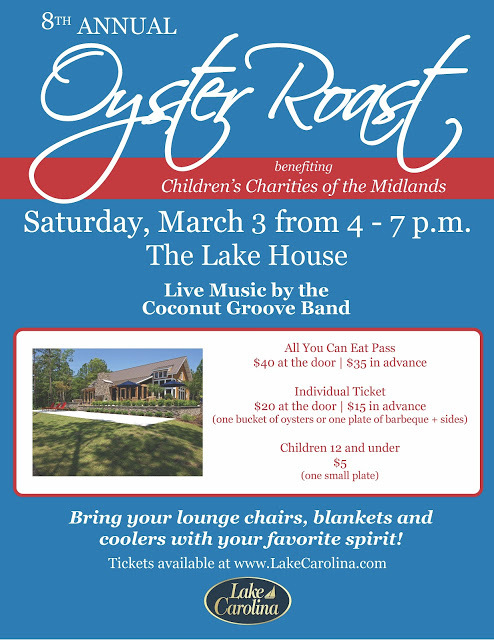 In support of Children&apos;s Charities of the Midlands, Lake Carolina is excited to host their 8th Annual Oyster Roast. 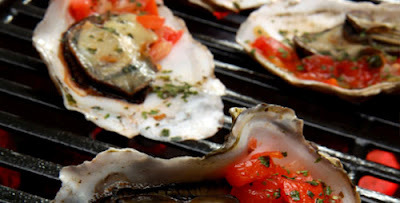 Invite your friends and join us at Lake Carolina on Saturday, March 3, 2012 to feast on fresh local oysters steamed to perfection, finger licking good southern barbeque, and refreshing beverages. Live musical entertainment will be provided by the Coconut Groove band. This year&apos;s roast will take place at the newly constructed Lake House at Lake Carolina. The Lake House is nestled along the shores of Lake Carolina with an expansive lawn and patio area, beach access and a gorgeous open air building. This venue offers guests a panoramic view of the lake, indoors & out. Bring a glove and shucking knife to dig into the oyster buckets. Extra knifes and hand towels will be provided by Lake Carolina. Lounge chairs and blankets for relaxing in the sunshine are encouraged. Outside coolers are allowed at this event. Children&apos;s Charities of the Midlands is a 501(c) 3 organization dedicated to promoting charitable endeavors that are committed to improving the health, welfare and education of South Carolina&apos;s youth. Lake Carolina is proud to support their efforts once again at this event. Complete details can be found on Lake Carolina&apos;s website. Keep up with their latest events, promotions and giveaways on Facebook and Twitter.